his audio is presented by a fundamental Christian, Dr. Scott Johnson, so the viewpoints are in my opinion somehow "distorted", but I can personally verify the accuracy of what this narrator is saying - he is telling the truth. I have a hard time listening to Christians, who present a subject in an angry tone of voice, but if you can endure that, you will get a whole lot of important information. This IS Scientology in a nutshell. I have personal experiences with the cult, and know what this audio is talking about first hand. It's all true! I hope you are willing to listen to this whole thing, because we all need to know this; if not for anything else, for the sake of our children, whom otherwise may be attracted to the powerful propaganda the cult is burping up. The Church of Scientology is one of the largest cults in the world, and probably one of the most destructive. I need to correct Dr. Johnson on one point. He talks about the Scientology term "thetan", which he first of all pronounces wrong (should be pronounced theytan), and secondly, he has misunderstood what it is. 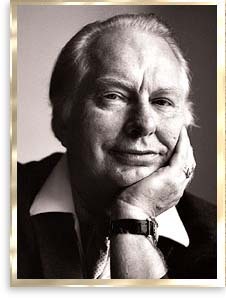 A thetan is the human "soul", according to L. Ron Hubbard. Scientology teaches that you don't HAVE a soul, but you ARE a soul (thetan). When you die, the thetan (you) is leaving the body to reincarnate in a new born baby. Dianetics is addressing your body and mind, while Scientology addresses the SOUL. Another thing to take into account is that there are parts of Scientology and Dianetics that work. It is not all hocus-pocus. Some of the technology in the cult is "borrowed" by Hubbard from other secret societies, and this is ancient knowledge that can be applied and give results. But that is the way those cults/secret societies work, isn't it? You can't trap people with lies only; you have to give them a bait, and the bait has to be the truth.